Dance is secured as a named activity within the PE curriculum so that it is made available to all children. Whether it is taught within PE or Dance, the Performing Arts contexts or through cross curricular links, it is taught as an art form for our children to benefit from an education in and through dance. Children begin dance at Foundation Stage and it continues through to year 6 with opportunities to develop the skills, knowledge and understanding of composing, performing and appreciating dance from different social, historical and social contexts. build on their physical development and maintain healthy lifestyles and a sense of well-being. engage in a variety of dance forms and work with professional dance artists, companies and arts organisations. What we have done in dance this year! In the academic year, 2016 - 2017, we have delivered Dance in Reception and key stage 1. For Foundation we covered the sessions - 'Treasure Hunt', 'Rockets' and the 'Sea Shanty'. All 3 plans had the objective of 'movement'. We also covered 'Mini Aliens' as we had an extra week. For KS1 we covered - 'Mini Aliens', 'Outer Space' and 'Pirate Jig'. Both Mini Aliens and Outer Space focused on the dynamic quality of movement, once devised by Rudolph Laban during the early 20th century. Here are some images showing KS1 dance in action! The dynamic qualities of dance and basic skills of performance that children learn in KS1 provide the foundations for dance development in KS2. Cross-curricular opportunities are also available through our performing arts. Joseph 2016-17, was performed by year 3/4 children. 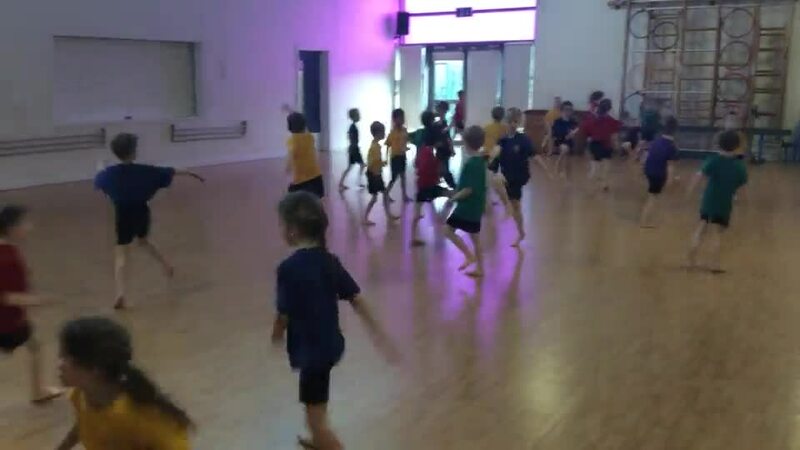 The following images demonstrate the level of skill, movement and quality of performance that children in lower KS2 can deliver as a result of their experiences of dance in KS1.